Euthanasia: Should It Be Legal? BRAVE Motor Neurone victim Annie Lindsell's ground-breaking High Court victory reopened the debate on euthanasia. Annie died within weeks of the breakthrough which allowed her to be prescribed drugs to relieve her pain and hasten her death. Supporters believe euthanasia should be legalised to allow people to die with dignity. Opponents describe it as murder. So should euthanasia be legalised? Margaret Newman from Belfast is a former nurse and speech therapist. She is a member of the Voluntary Euthanasia Society and believes people suffering from painful, incurable illness should receive medical help to die. Dublin GP Dr Orla Halpenny is a member of Doctors for Life, a Pro-Life group formed in 1991 after the Supreme Court ruled that an underage girl could travel to England for an abortion. The organisation is opposed to euthanasia. WHEN I was a nurse, I treated many people with terminal illnesses who suffered terrible pain. So even before I became a member of the Voluntary Euthanasia Society, I supported the concept of dying with dignity. Some of the people I cared for had such a poor quality of life and experienced a miserable time. Our society aims to make it legal for a mentally competent adult, who is suffering unbearably from an incurable illness, to receive medical help to die at their own request. I believe that people who are caring for these kind of patients should be able to act upon their wishes. When I was a nurse, I came across people who I know would have liked help to end their suffering and pain. Medical science has now advanced to the stage where people can effectively be kept alive with the use of machines. Early treatment for killer diseases can keep patients alive for years, but it may also mean a more painful death in the end. More and more people are living longer, but dying of drawn-out, degenerative diseases. All sorts of measures can be used to keep someone alive, which is fine if that is what they want. But I don't want to be kept alive in that type of condition if I'm not going to get any better. We have great hospice care in Ireland for people who are terminally ill, but not everyone can avail of that. It is a bit like a lottery, some terminally ill people may get excellent care while others don't, which is extremely concerning. A 1994 survey, published in the British Medical Journal, showed that some doctors already helped patients to die, despite the risk of prosecution. Few doctors have been prosecuted. Those who have been prosecuted were always treated with great sympathy. The survey also showed that nearly half of doctors would be willing to give active help in dying if it were legal. It is important to remember that euthanasia should be voluntary and available to mentally competent adults who suffer from an unbearable terminal illness. Any doctor who plans to assist someone to die will make absolutely certain that the patient is clearly informed about the illness and the decision they have made. I am not advocating that euthanasia should be available to everyone, and there must be safeguards put in place to ensure that it is not abused. I have already signed a will, which I will update regularly, so that my doctor and my family will be in no doubt that I would like to be helped to die if necessary. At the moment, doctors can legally practice "passive" euthanasia - that is, withdrawing or withholding treatment, or providing pain relief in such high doses that it quickens death. This has exactly the same moral and practical result as actively giving a lethal injection or prescription if asked by a patient. 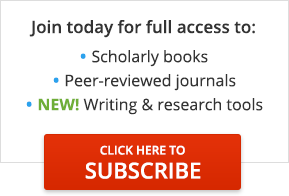 Publication information: Article title: Euthanasia: Should It Be Legal?. Contributors: Halpanny, Orla - Author, Newman, Margaret - Author. Newspaper title: Sunday Mirror (London, England). Publication date: May 31, 1998. Page number: 6. © MGN Ltd. COPYRIGHT 1998 Gale Group.